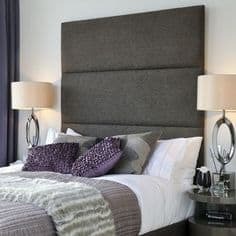 All Our Headboards that we tailor make at Newlook Upholstery factory are made to any dimension and specification you require in any combination of fabrics or Leather. 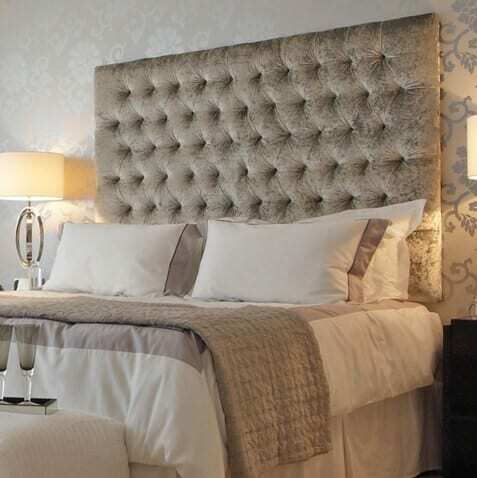 Design your very own Bespoke headboard choosing your fabric, possibly contrast plain boarders or piping or even to add that prestigious Luxury look by having real crystal buttons on your headboard. From Modern contemporary as shown to your more Traditional designs. 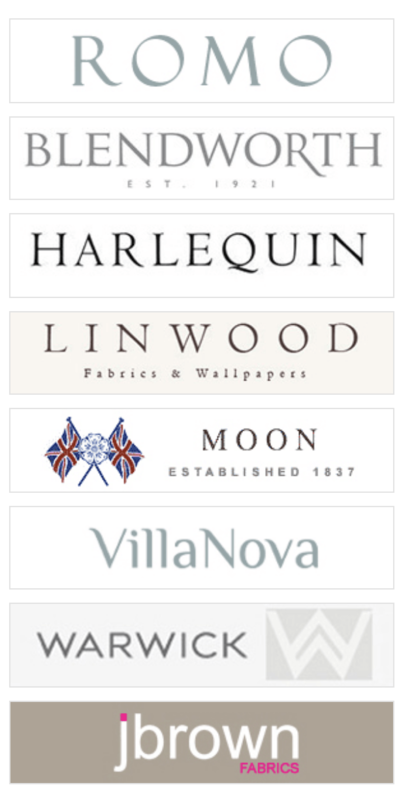 A small selection of well-known fabrics we work with are shown to the right of the page, the list is not exhaustive and we would be happy to use any fabric you desire. 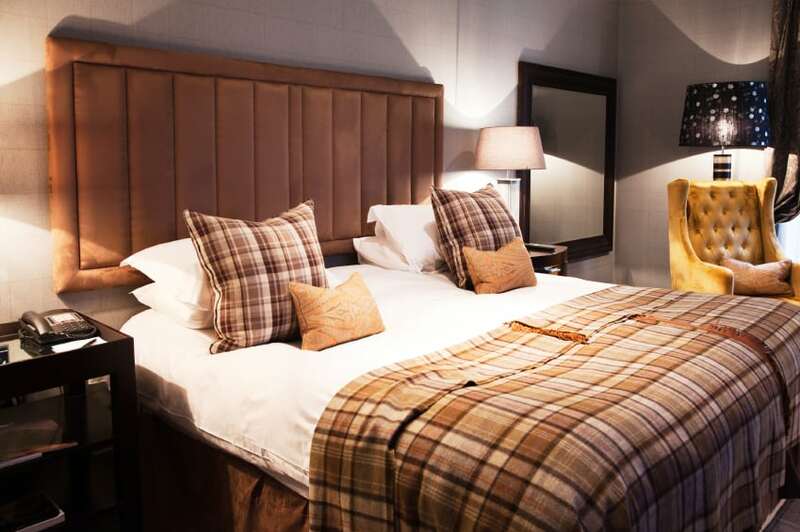 Handcrafted headboards made in Wales by all Welsh staff. Made to measure in any size or design created with luxury and exceptional quality in mind. 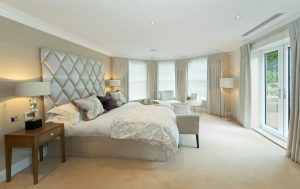 We have extensive experience in furnishing showrooms for our developers i.e. Barratts Homes throughout South Wales and for prestigious luxury apartments by a leading London developer in North London i.e. Princess Manor Development. Choosing the right design of headboards is key to complementing such a prominent feature to your bedroom to enhance the quality and design of making an impact to any bedroom.